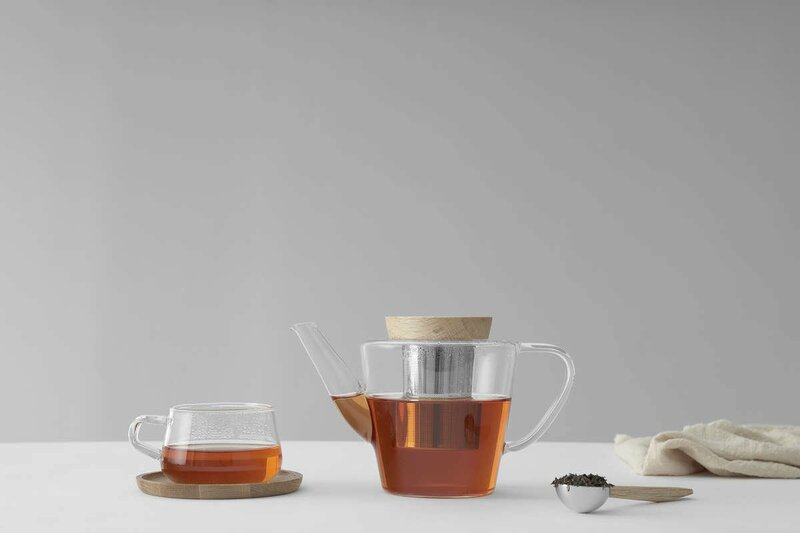 The Infusion teapot now comes in a more generous size so you can share the joy. Indulge in this elegant design that blends the purity of natural oak and the warmth of glass. It is the perfect centerpiece for your next afternoon tea with good friends. Size: L: 22.5 cm - W: 13.0 cm - H: 14.0 cm - Vol: 1.20 L / 40.00 fl. oz. How many cups of tea can I make with this teapot? 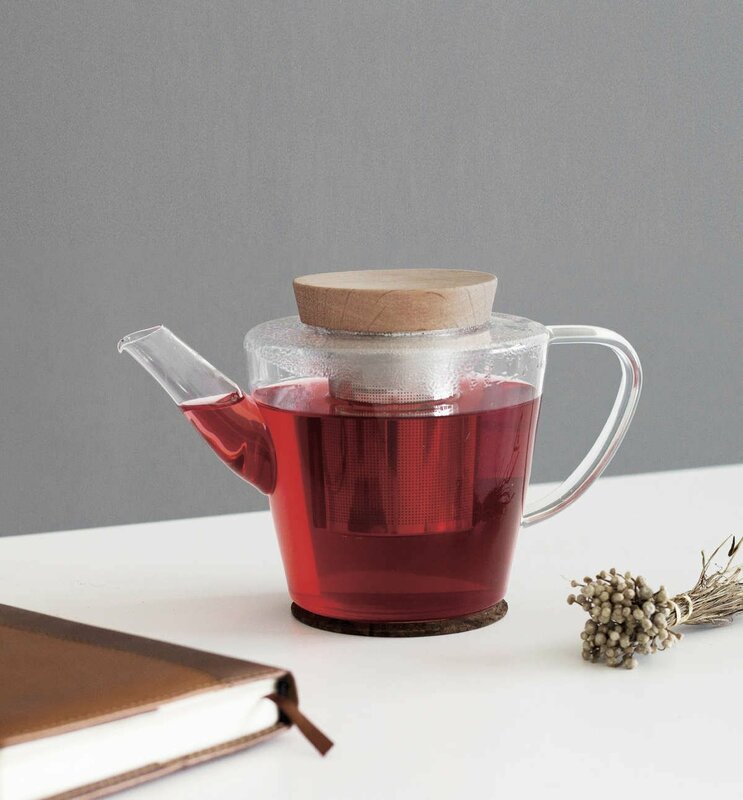 This teapot’s volume is 1.2L, which is enough for four generous cups of tea - perfect for sharing with friends. There is also a 0.6L version of this teapot which will make two large cups. What are the advantages of a glass teapot? Brewing tea is a wonderful, sensory experience. A warm cup in your hands, the rich smell of the leaves, and of course the gorgeous flavours. Being able to actually watch your favourite tea brew in a glass teapot adds a whole new level to that experience. You’ll be able to see water transform into the beautiful teas you know and love. What is the lid made of? The lid of this teapot is made of oak. Oak is a dense honey coloured wood, which will age beautifully, gaining a rich patina with time and use. There is a ring inside the lid to help keep your tea warm and to keep the lid securely fastened to the body while you pour. The infuser is very easy to remove. 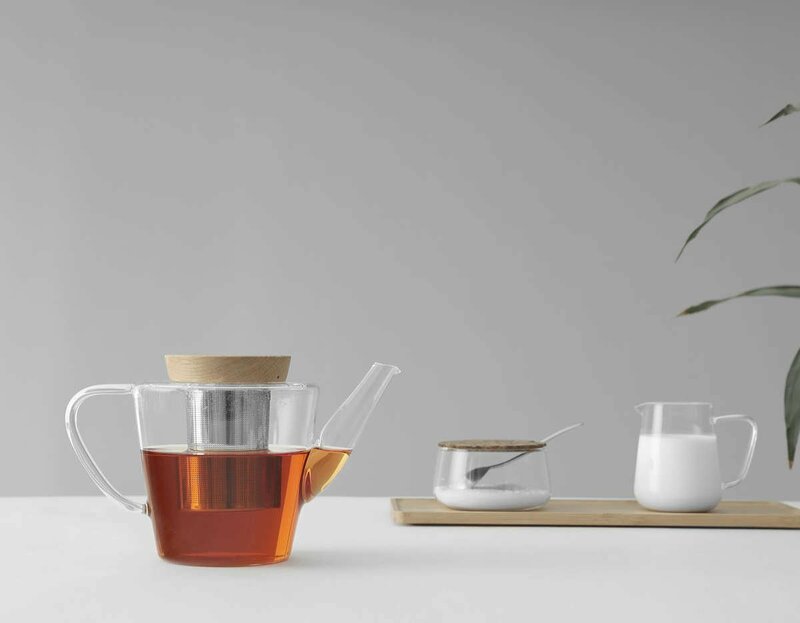 Pull up on the wooden cap to remove it from the body of the teapot, then the stainless steel infuser can be placed on a saucer or into another vessel to prevent your tea from getting too intense. Is this teapot dishwasher safe? To get the best life out of your teapot, the lid should be hand washed only. The glass body made from our premium Vitriluma borosilicate is dishwasher safe.